“It appears the game is over before it even begins.” Slade Wilson, AKA Deathstroke, is one of the world’s greatest and most deadly mercenaries in the DC Universe. 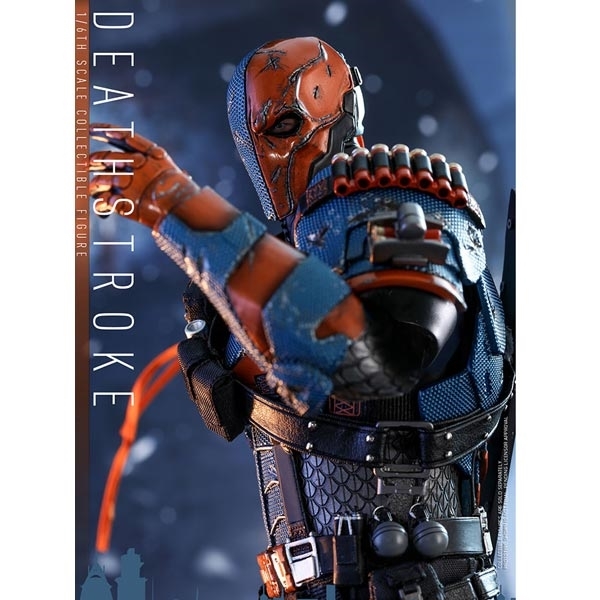 He was part of an experimental super-soldier program which allowed him to gain metahuman strength, speed, and healing abilities. 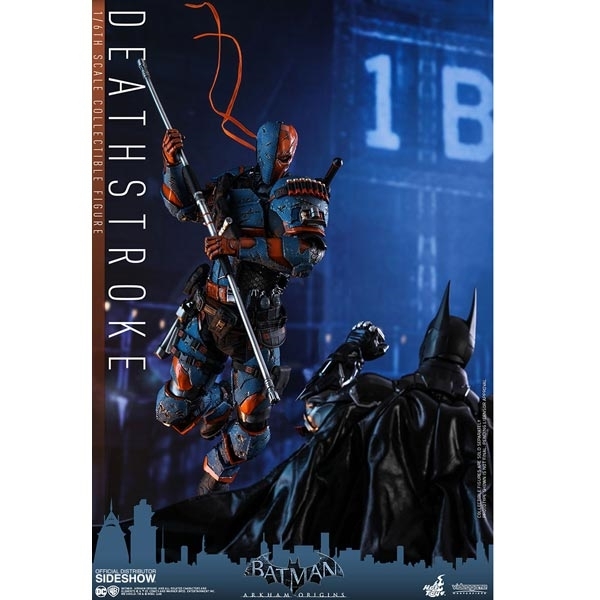 Sideshow and Hot Toys are very excited to officially introduce the Deathstroke Sixth Scale Collectible Figure inspired by the designs from the highly acclaimed video game Batman: Arkham Origins. 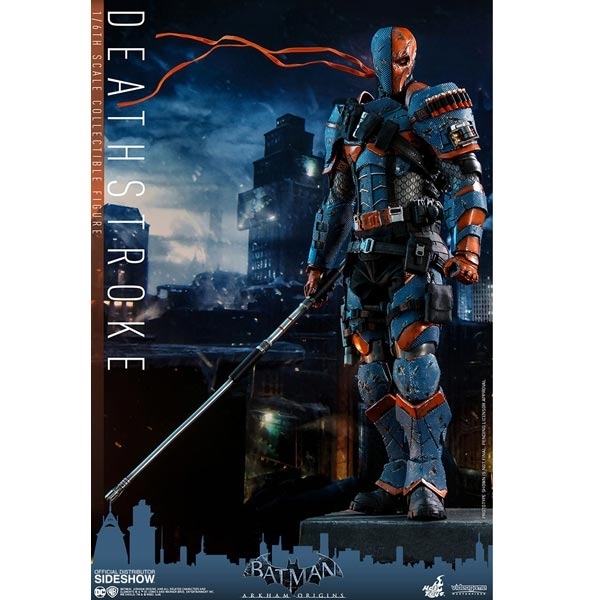 The collectible is expertly crafted based on the appearance of Deathstroke from the game featuring a newly developed helmeted head sculpt with one-eyed mask, a meticulously tailored multi-layer Deathstroke suit with battle-damage and weathering effect, an interchangeable battle-damaged chest armor plate specially designed for the alternative katana holding pose. 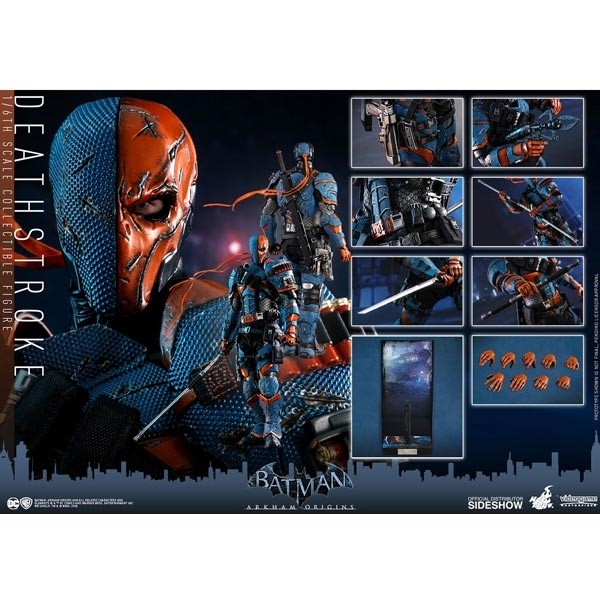 Complete with an array of detailed weapons including Deathstroke’s ballistic staff handle with interchangeable ends displaying different battle modes, a remote claw, a pistol, a katana, two grenades, several detachable bullets off from the shoulder armor and a figure stand with specially designed backdrop!